You might be surprised to learn there are families near you that can't put food on the table. A mom and dad who might even live down the street. They might have a couple of kids who go to school with your children or grandchildren. But their children go to school without enough to eat. They go to bed hungry. And when they wake up, it starts all over. But you can make a difference in your neighbors' lives. You can put food on the table of families in need. Every $1 helps provide 4 meals! Hunger can't be solved overnight. We must all join together to keep making a difference — day by day and meal by meal. Please act now. 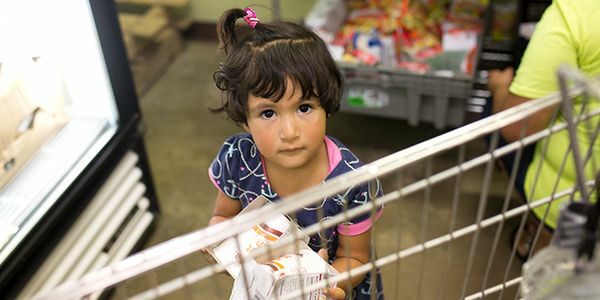 Pledge your support to help families in central and western Oklahoma facing hunger. And help spread the word about this important cause. Thank you!